A get together in one of the most famous Brasseries in Istanbul. You must be a member of the Istanbul Entrepreneurs Group to attend this activity. Would you like to join this group? 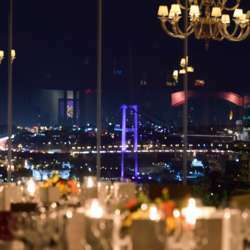 Let us meet ın one of the eldest bars of Istanbul with a stunning view of the Bosphorous. The evening will start at 7.00 p.m. accompanied by D.j. music. The venue has a wide menu from Mediterranean, Turkish and New Japanese cuisines. The venue is also a recipient of several international and domestic awards. Meet, mingle and enjoy yourself, viewing the Bosphorous. You just pay for whatever you order. Dress code is Smart Casual.